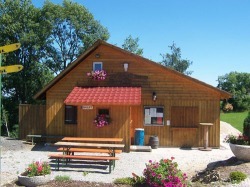 Welcome to the website of the German Club of Olympia, WA. Our membership has a common interest in Germany and many members are German born. We welcome anyone to join who has an affinity for Germany and who has basic German language skills, as we conduct our meetings in German. It is our purpose to foster a consciousness and appreciation of German culture, traditions and modern Zeitgeist. We strive to promote a cultural exchange and education, and organize public events that serve to enrich our community. We exist as a platform to foster social interaction, support and bonds of friendship among the association members. Come join us every 3rd Saturday at 3:00pm for good German conversation and Kaffee und Kuchen at Wagner's European Bakery at 1013 Capitol Way in Olympia. We envision owning our own club house where we can put on festivities and conduct our meetings and events. This house would be a home away from home that will embody the term "Gemuetlichkeit". Our fundraising efforts are motivated by the goal to procure enough funds to undertake the building of a club house and purchasing the property. We are a non-profit organisation. We welcome all donations and grants. We'll also gladly work with sponsors. Donations can be made by contacting the club by using the contact form below. Our annual membership meetings and elections are held on every 3rd. Saturday in March at our regular monthly meeting location. Follow our German Club updates on Twitter. It's easy.